Joplin, Mo. 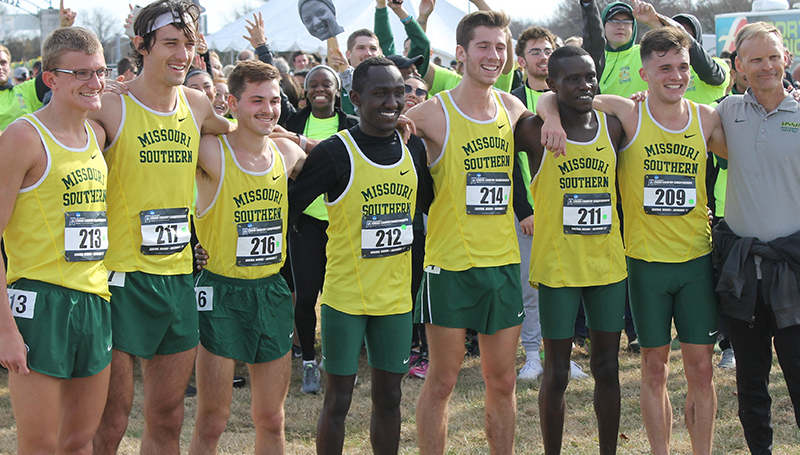 — Missouri Southern Cross Country Coach Jamie Burnham, as well as freshman Gidieon Kimutai earned Regional Coach and Male Athlete of the Year honors today as the United States Track and Field and Cross Country Coaches Association announced its regional awards. Burnham led the Lions to the MIAA and Central Region Title this season and was named the Central Region Men’s Cross Country Coach of the Year. He also earned MIAA Coach of the Year honors last week. It was the lowest point total (55) at a regional meet for the Lions, besting the mark of 56 set in 2009, the only other Regional Title for the men’s program. Kimutai won the individual title at both the MIAA and Central Region Championships this year. He finished the 10k course with a 29:48.5 performance and is the third Lion in the last four years to win the Regional Title. It was his third individual title this season. The Lions and Kimutai have qualified for the 2018 NCAA Division II Cross Country National Meet in Pittsburgh, Penn. that will be ran on December 1 as part of the NCAA Division II Fall Festival.